Noise-induced hearing loss is the second most common cause of sensorineural hearing loss after presbycusis. It can develop gradually as a result of regular exposure to excessive sound levels or suddenly as a result of acute exposure to an extremely loud noise such as a siren or firearm. When exposed to acute or chronic loud noises, the ear’s stereocilia and inner ear hairs are damaged and fail to complete their role: converting sounds to electrical signals that the brain interprets. As of today there is no way to repair the damaged hair cells within the auditory pathway our focus is preserving and supporting healthy hearing. Custom Ear Molds: to provide hearing protection tailored specifically to your needs. When we think of hearing loss, we typically associate it with aging. However there has been a detectable upswing in hearing loss in kids and teens. The latest research from the Centers for Disease Control and Prevention shows 40 million Americans, ages 20 to 69, suffering with hearing damage from everyday loud noise, including heavy traffic, noisy restaurants, rock concerts, sporting events and loud music. Among 12 to 19 year-olds, researchers estimate around 17% show evidence of hearing loss in one or both ears attributed to exposure to loud sounds. With the increase in use of personal listening devices and headphones (especially earbuds), kids often expose themselves to noise levels that are louder than what is allowed by law in the workplace, according to Joseph F. Hagan Jr., M.D., FAAP, co-editor of the AAP Bright Futures Guidelines. Limiting listening time to one hour and then encouraging a break. Reducing volume to 60% or below. Teaching children to be aware of symptoms of dangerous noise exposure-temporary hearing loss (“temporary threshold shift”), full/dull feeling and/or ringing/buzzing sounds in the ear. Favor head phones that go over the ear (circumaural) rather than ear buds, which increase sound pressure in the ear canal. 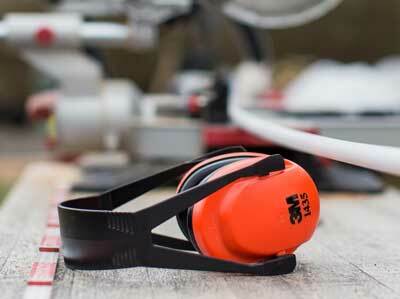 In situations with loud noise, encourage the use of hearing protection (ie ear plugs). There are amazing custom ear plugs for all sorts of loud activities (loud music, racing, shooting, etc.). of school-age children (ages 6 to 19 years old) have some degree of hearing loss. Americans age 12 and older have hearing loss in both ears.